allowing for fast review of all orders. Order processing in the system reflects the actual cycle. The system is integrated with warehouse management program for availability of actual products, whereas integration with accounting program makes the circuit of the order much easier. 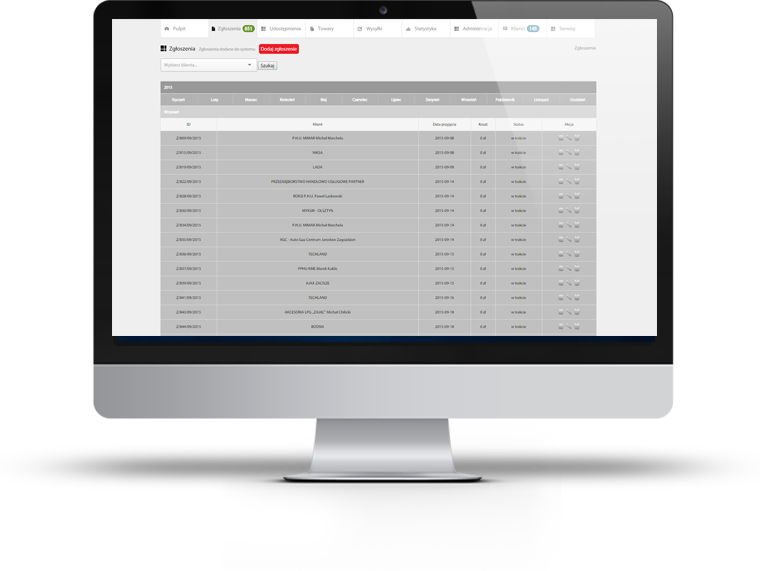 Functionality of order tracking for checking on current status is available to clients. System supports the process of giving access to replacement product for the time of service order to the client. In case of sending product to the external service, system allows for this type of situations by managing of external services and shipments. Thanks to the statistic and analysis module we can distinguish failure rate of the products and managing the supplier selection process more efficiently.